The idea behind this project was to make a title sequence in a 360 degree environment, which proved to be quite a challenge. For one, the camera was dynamic. This meant the content of the image couldn't easily be conveyed with standard methods; that is to say, the user controls what they're looking at, not the director. From a legal sense, in the context of a title sequence, this also poses a bit of a legal issue--it's not uncommon today for lawyers to designate what % of screen time everyone involved in the project has in the title sequence. 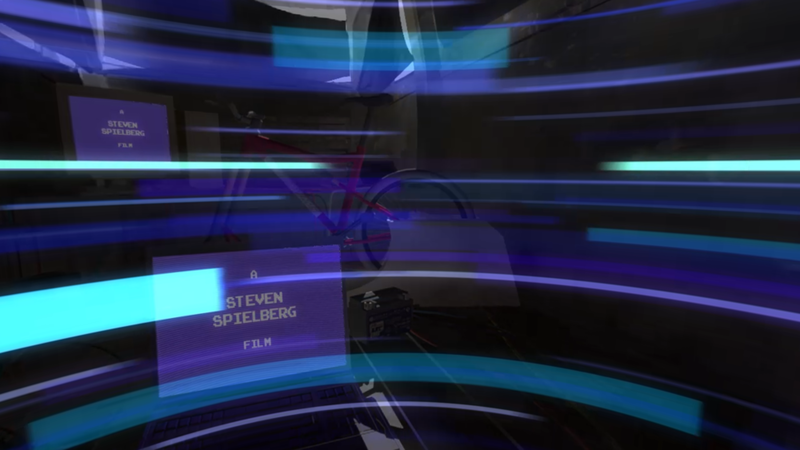 Imagine, for a second, the director's credits being placed behind where the viewer is looking in 360 space. Potentially, the director's credits would have gone unnoticed entirely by someone viewing the film's title sequence. Above: Front view of "van" interior. Right: Rear view. 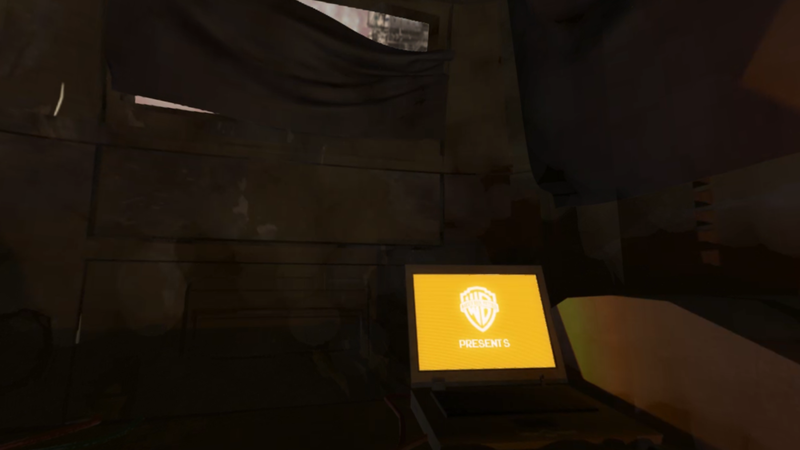 In the opening shot, a grunge-filled rusted, abandoned "van" environment, several monitors were placed around the room at key points of interest, where most areas in the scene would have either a monitor or a glimpse of a monitor nearby. If there wasn't a monitor, there would at least be light emitting from the screen in the dim lit room, leading the eyes to the direction of the screen to get a good look at it. These screens would be where the first 3 "title cards" would be located, each screen displaying the same message on every monitor so the viewer would always have a chance to see the credits no matter what little "easter eggs" they were looking at. By "easter eggs" this of course refers to referential material. The look of the van scene was done by compositing several 4096 x 2048 images + image sequences together, rendered in several passes to control the lighting dynamically and cut down on render costs, helped by the fact not many objects, if any at all, move in the scene. The 360 imagery was accomplished by exporting the video as a 360 panorama, then using YouTube's "metadata injector" so the video would be interprited by YouTube's player as a 360 video, meaning it would be wrapped around a 3D sphere. 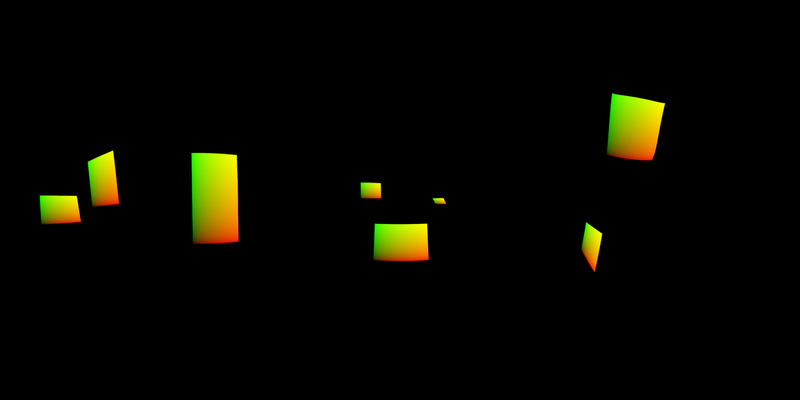 This is why the environment would need to be modeled in 3D and then rendered in a strange format; to have it work as a 3D video, the project required an alternate form of projection.